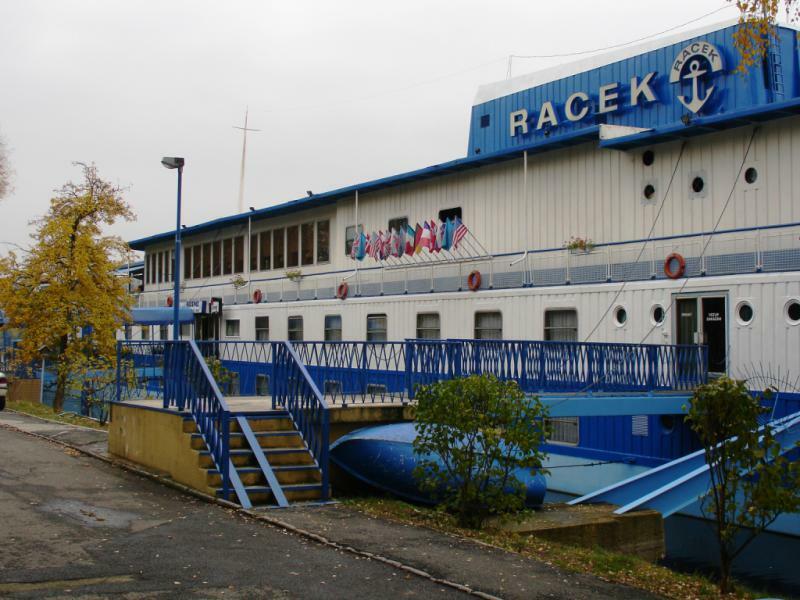 RACEK botel was built at the end of 70 years of this century in the Czech Mělník shipyard as the first of three Prague botels. In 1969 it was anchored at the right bank of the Vltava river near Vysehrad rock in a quiet green oasis and subsequently put into operation. 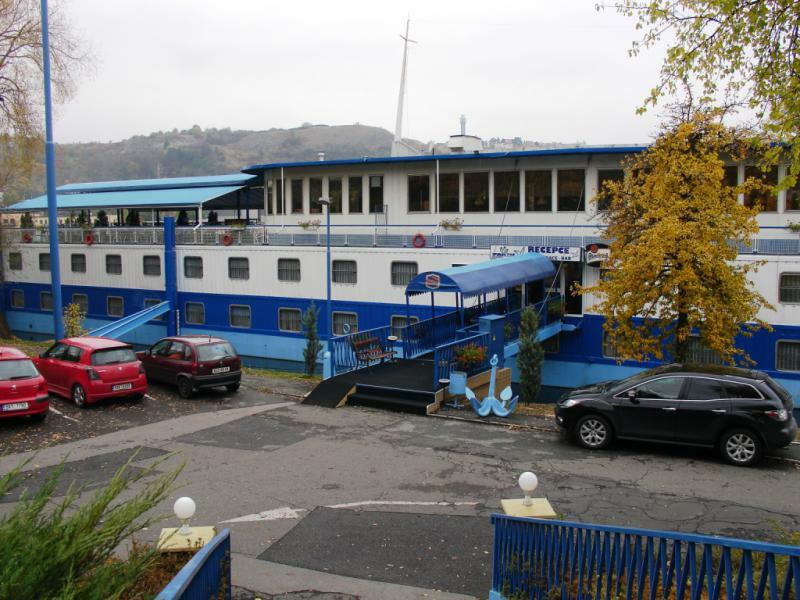 The ship body was built as a three-floor floating object of a steel construction which is connected to the municipal facility networks with own gas heating. 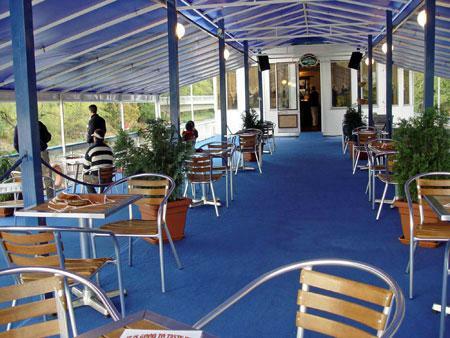 The botel is situated near Prague centre and it forms a unique part of the beautiful landscape of the Podolí embankment in all seasons. It is used all the year round as a hotel and restaurant. 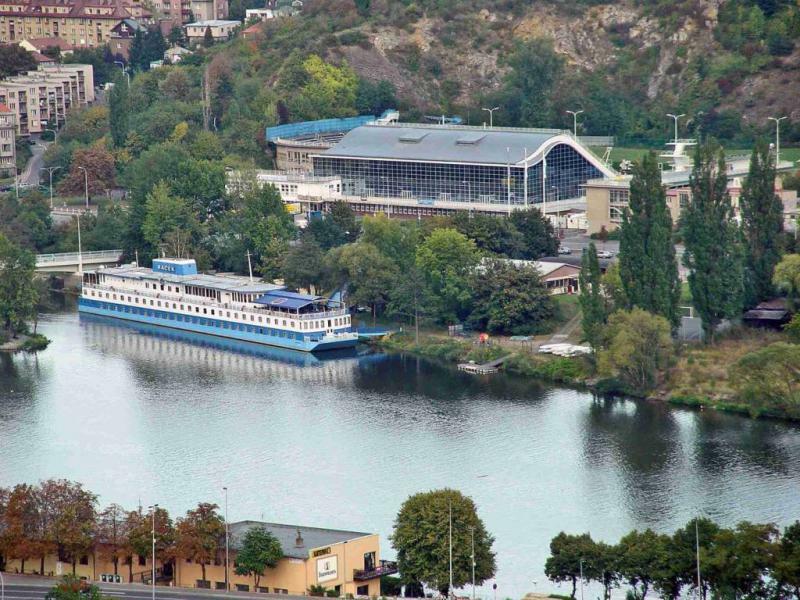 A swimming pool and the “Žluté lázně“ sports and entertainment resort are situated nearby. 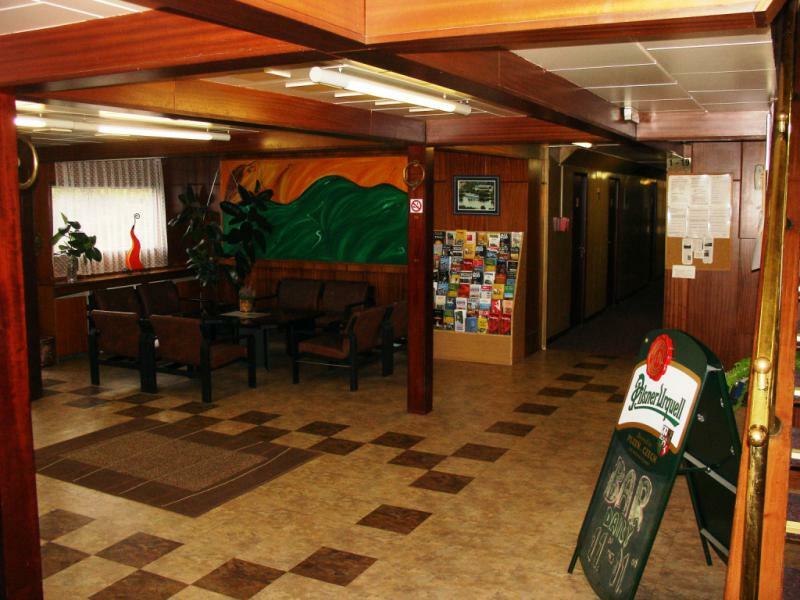 The botel is located near highways to Vienna / Brno and Nuremberg / Pilsen, the airport can be reached in 25min. drive from the hotel. Standard double cabins and four-bed suites are available for your romantic accommodation. 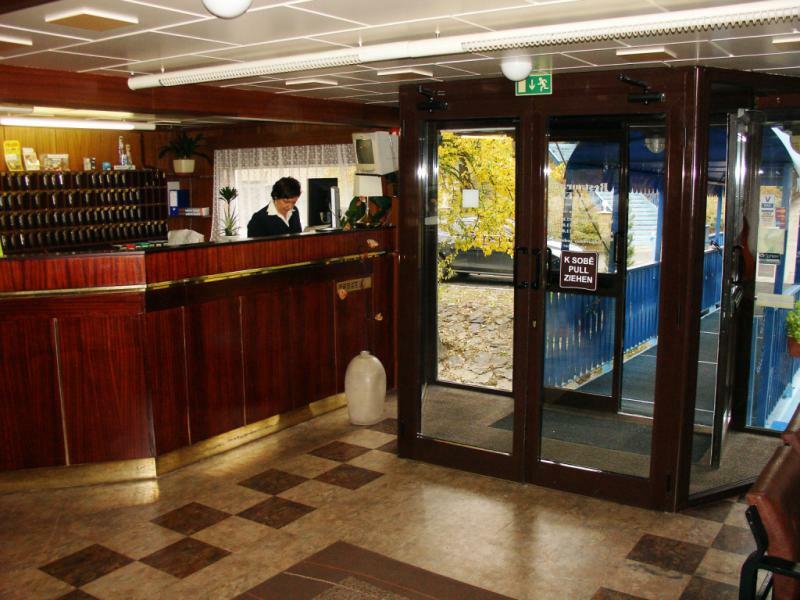 The total capacity of the botel is 81 double rooms (35 of them are non-smoker cabins), one single room and 4 four-bed suites, i. e. 179 beds on two floors. All rooms are furnished in the elegant classic style and each of them includes a bathroom with a shower enclosure and toilet, colour TV (SAT-TV), and telephone. 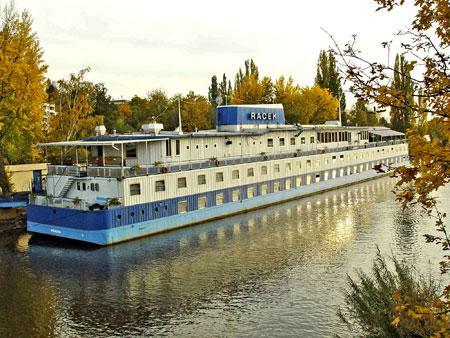 The Racek botel offers their guests pleasant sitting in its stylish space on the third floor with a view of the Vltava and greenery with a selection of many Czech meals and a lot of beverages. 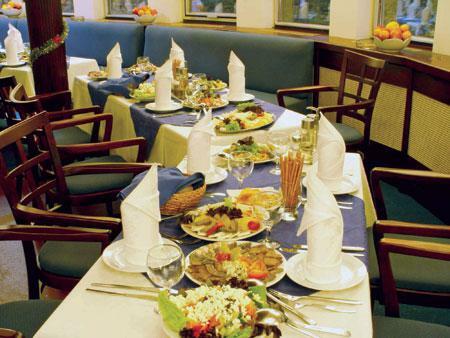 You can also arrange family celebrations, wedding and graduation receptions, business lunches or presentations there. The parking is possible in the front of the botel for free. In the hotel reception and restaurant we are installed for you free Internet access - WI-FI. During your stay in Prague so you have to keep track. Public transport tickets can be bought at the reception and you can even hire a safe there. We will help you in ordering reservations and other hotel services, booking tickets for cultural and sport events, organizing your Prague sightseeing, trips to castles or to other sites as you will like. For children from 3 to 12 years old – price reduction of 50%. Children younger than three years – free of charge (cot). Your dog or cat will be welcomed in our botel. 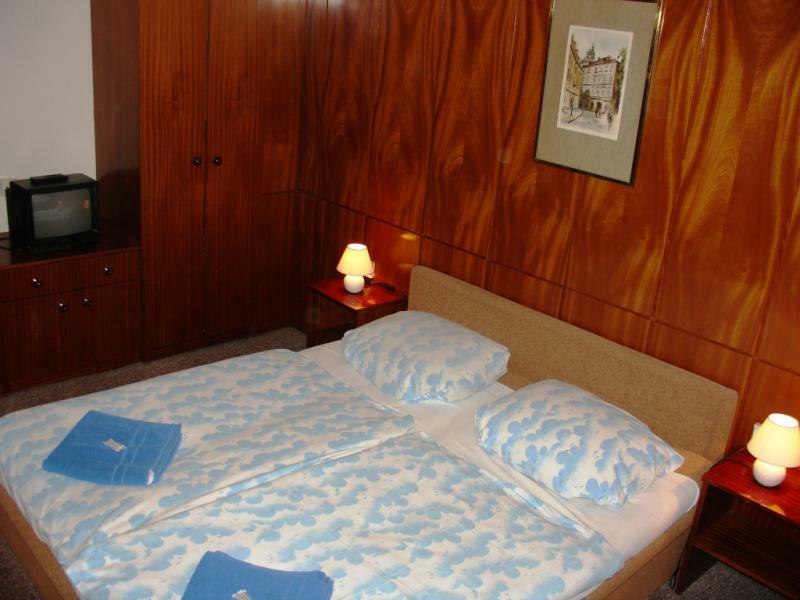 From the very first moment you will feel the homely atmosphere of the Prague Botel Racek. 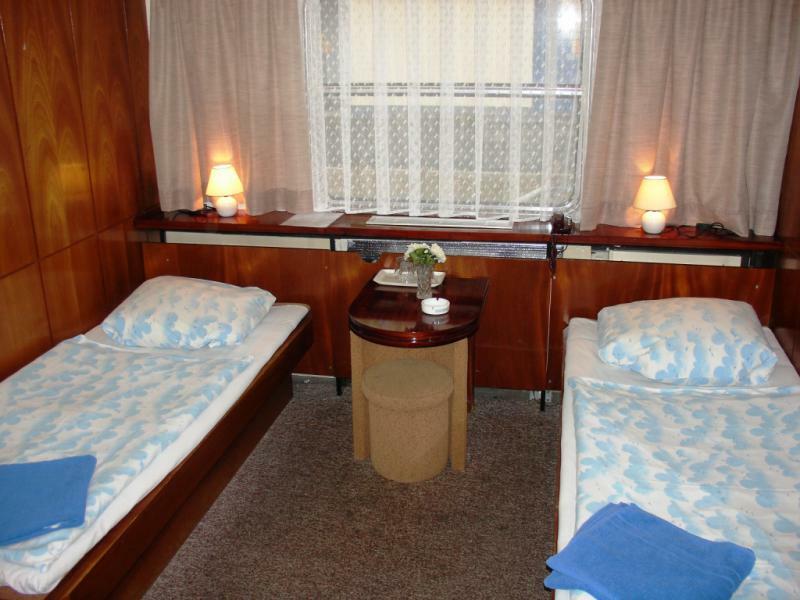 Our company looks forward to your visit of our Rack botel and we believe that you will appreciate the unusual romantic atmosphere on the board while you are in Prague. The crew will do their best to make your experience from historical Prague and from our boat as pleasant as possible. We hope you will feel fine since the beginning thanks to friendly personal atmosphere. The hotel is located in the South-West part of the city center. - Follow directions signs Smíchov / Barrandov / Branik / Podolí. - Go across Barrandov Bridge and turn right to Podolí. - You will come to Modřanská Street. - At Podolí swimming pool, turn left across the tram rails directly to the botel. - Follow directions signs Plzeň and Smíchov / Barrandov / Braník / Podolí. - Before Barrandov Bridge after OMV petrol station turn right to Podolí / Braník. - You will come to a traffic light crossing, turn right to Podolí as far as Modřanská Street. - Carry on straight away to Podolské nábřeží Street – 500 m.
- Go to the bus stop. - Take bus No. 100 to Zličín underground station. - From there go by yellow B route to Karlovo náměstí (Charles Square) station – exit to Palackého náměstí (Palacký Square). - Change to trams No. 3, 16, 17 or 21 to Podolí to the Kublov stop - it is the 3rd stop. - Get off there, then go about 300m in the tram direction directly to the botel. - Go by underground – red C route to Florenc station. - Change to metro line B. 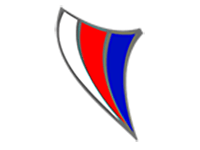 The nearest airport Ruzyne is 15 km from the hotel. The nearest bus station Florenc is 3 km from the hotel. The nearest train station and subway are 900 metres away. The nearest tram station is 300 m from the hotel. 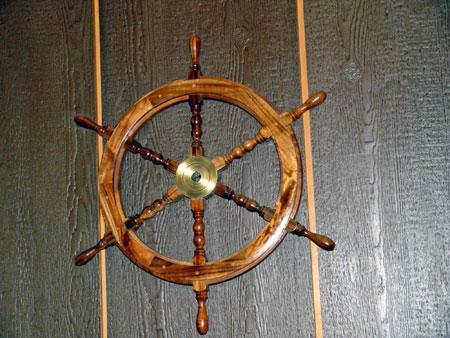 A convenient location of the botel is ideal starting point for various activities. Immediate vicinity of the underground and the tram station enables you to get within few minutes to the most important and most visited places in the historical part of Prague, such as Wenceslas Square, Old Town Sqaure, Charles Bridge, Royal mile or the famous Prague Castle within 10 to 15 minutes.